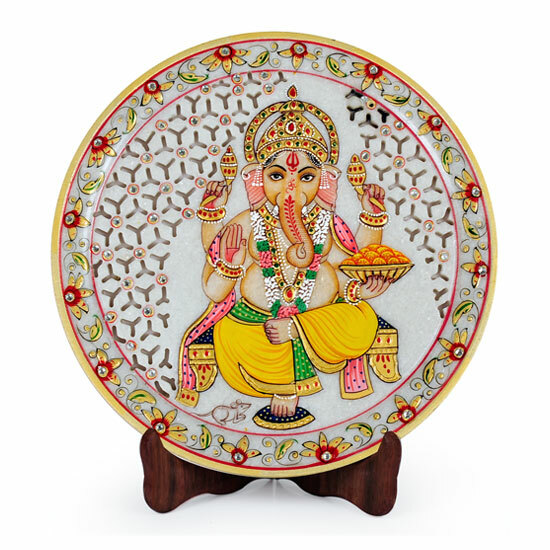 Made In Makrana Marble, The Decorative Plate Has An Interesting Feel As It Will Make Any Corner Glow. 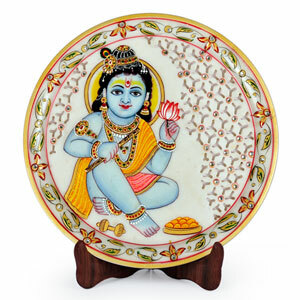 Resting On A Wooden Stand, The Product Has A Mughal Theme With Beautiful Painting Done On It. 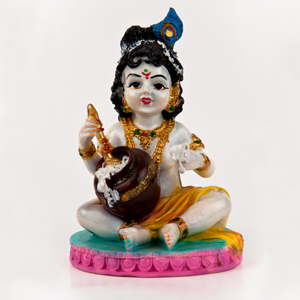 The Cut Work In The Marble Makes It Very Special .Traditional Colors, Gold Painting And Kundans Further Embellish It.Other Than Personal Utility, It Can Be Used For Gifting Too. 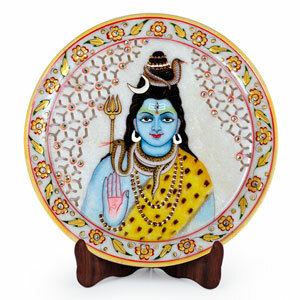 Being Handcrafted, It May Have Mild Variations In The Design And Colour. 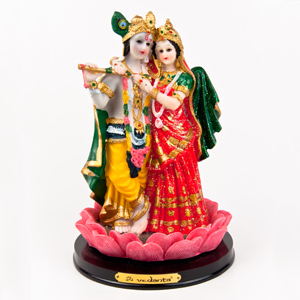 It Can Be A Good Gift For Wedding And Anniversary And Religious Occasions, Festival And House Warming.